Yes! 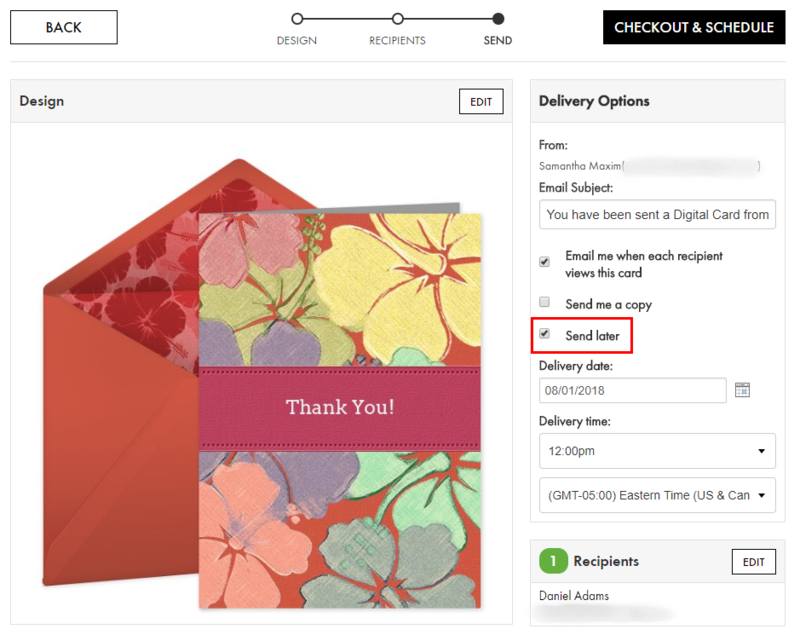 After you've designed your card and added recipients, on the Send page you'll see a checkbox under the Delivery Options heading for Send Later. Check this box to schedule your card to be sent automatically at a date and time of your choosing. You are able to cancel or reschedule the card at any time before it's sent.